They are dreading Thursday’s publication of the more-than-300 page report, several of them told CNN in recent days, even as the President himself has told aides and friends he is eager to see his name cleared. Trump, however, has adopted a more self-assured attitude about the report’s pending release, telling confidants he is certain the final product will back up his claims of exoneration. His convictions are rooted in Attorney General William Barr’s original letter describing the findings, which stated Mueller did not establish there was collusion between Trump campaign officials and Russia, and not the full report, which neither he nor his legal team has read. 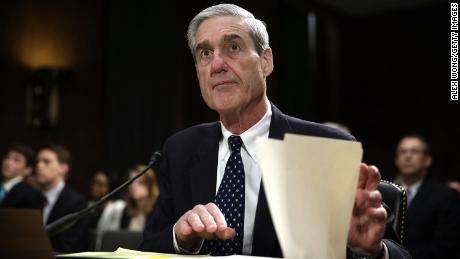 The damage will be in the details, these advisers believe, given the broad strokes of what Mueller has been investigating are mostly already known. And because the report won’t be based on anonymous sources, but will instead contain accounts attributed to former officials and allies of the President relayed under penalty of perjury, it will carry a heavy weight of credibility. Several people who were central to major aspects of the investigation sat down with the special counsel’s team, including former White House counsel Don McGahn, whose 30 hours of testimony with investigators unsettled Trump. Those in the President’s circle said even if the information is not politically damaging to Trump, it could be unflattering. Other possible damaging information could include accounts of the President’s temper and working habits, which have been described in the news media but typically only by anonymous sources. Trump has expressed outrage at those depictions previously and decried them as false. But Mueller’s findings will be harder for him to rebut. The President and White House officials are not expected to review the report ahead of its public release, people familiar with the matter said. Instead, aides — like the rest of official Washington — are planning to pore through the hundreds of pages starting the moment they are released. Trump, who is known to prefer one-page summaries with visual aids over lengthy briefing texts, is not expected to read each page of the report himself, according to one official. Instead, his legal team is planning to brief him on the findings once they’ve been read and digested. And the President is likely to spend hours consuming television coverage of the report, which newsrooms are gearing up to read and analyze. Many West Wing officials said they would likely read the report themselves, though some said they would wait until after they’ve left the office. Officials admit they are curious about the findings, much like the public, including determining why Mueller did not make a determination on whether the President committed obstruction of justice. If there was a sense among aides of heightened anticipation for the report, however, there was not necessarily a hunkered-down mood in preparing for the unknown. Press secretary Sarah Sanders, who was interviewed by Mueller, was not in the office in the days leading up to the release, instead spending spring break with her children. Emmet Flood, the President’s White House lawyer tasked with Mueller-related issues, is expected to lead whatever administration response to the report once it’s released. The President’s personal lawyers, led by Rudolph Giuliani, have been reworking the response they’ve been planning for months to conform more to what they expect in Mueller’s report based on Barr’s letter, though that rebuttal is not expected until sometime after the redacted version is released on Thursday. In meetings and casual conversations over the past days, Trump has not revealed private misgivings about the report’s public release, according to people who have spoken with him, even as some people who work for him are themselves less sanguine. Trump’s comments fit snugly into an effort by the White House and its Republican allies to shape public views of the report before its release using information from Barr’s letter. In repeatedly pointing to Barr’s description of the findings as exculpatory, Trump hopes to minimize any potential new information contained in the full report. “I think the right strategy would be to lay low. Public opinion is already out there. I think most of the public has this in their rear-view mirror,” said Scaramucci. “No Collusion – No Obstruction!” he tweeted Tuesday morning, repeating his longstanding claims of innocence.